Two wonderful t hings about the Federal Bar Council are our First Decade Committee and the Council’s commitment to promoting public service. Both will be front and center at this year’s First Decade Committee Summer Kick-Off Party at which the Federal Bar Council also will award its second Thurgood Marshall Award. The First Decade Committee summer event has been held for years overlooking the water and attracted many First Decaders, law clerks, and summer associates, as well as members of the judiciary and more senior members of the Council. This year, the First Decade Committee, chaired by Christopher M. Colorado, will hold the event on June 25, 2015 at Battery Gardens in Battery Park overlooking the Statue of Liberty. In addition to the wonderful conviviality, drinks, and sumptuous hors d’oeuvres (and, one hopes, a wonderful summer outdoor evening), this year we will be awarding the Thurgood Marshall Award to two people whose pro bono work the Council is proud to recognize. The Federal Bar Council received over a dozen nominations for the Thurgood Marshall Award and any one of the nominees would have been a wonderful awardee. The two recipients of the award will be recognized at the June 25 event. The courts and agencies in the Second Circuit are truly fortunate in having such a wealth of talent devoted to public service. The first awardee is Matthew Benjamin, a 2006 graduate from New York University School of Law and a litigation associate at Gibson, Dunn & Crutcher. 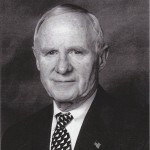 He was nominated for the Thurgood Marshall Award by the Honorable Dora L. Irizarry and also recommended by the Honorable John Gleeson and an Eastern District of New York senior probation officer for his efforts in connection with the provision of pro bono legal services to participants in the Alternative to Incarceration and post-conviction drug re-entry program of the U.S. District Court for the Eastern District of New York. Because of his interest in sentencing and alternatives to incarceration, he was drawn to learn more about the Eastern District’s program. Once he did, he began to volunteer to provide civil pro bono services to the participants in the program and he soon persuaded his colleagues at Gibson Dunn to volunteer as well. By all accounts, he has played an integral role in the success of the Eastern District’s programs, which help defendants turn their lives around. The second award is being given posthumously to Steven J. Kolleeny, who was special counsel at Skadden, Arps, Slate, Meagher & Flom. Mr. Kolleeny headed Skadden’s Asylum Program for over 25 years. He personally represented 30 to 40 people and supervised about 300 cases taken on by other Skadden attorneys. Mr. Kolleeny, with assistance from the pro bono organizations he worked with, established himself as Skadden’s in-house expert on Asylum, which meant he vetted and supervised cases and empowered Skadden’s Asylum Program. This has become a model for our law firm asylum projects. I encourage all of you to join us on June 25 for a great party with the First Decade Committee and to join us in honoring these two pro bono leaders. For more information and to register, go to: http://www.federalbarcouncil.org/vg/core/events/eventdetails.aspx?meeting=HH15. On March 16, 2015, the Eastern District of New York celebrated its 150th anniversary. The judges of the Eastern District were joined by Supreme Court Justices Ruth Bader Ginsburg and Sonia Sotomayor to celebrate the anniversary. In 1865, President Abraham Lincoln signed the bill establishing the Eastern District in the middle of the Civil War. The Southern District had been around for 75 years by that time, and it had covered the Eastern District area. My own history with the Eastern District goes back to 1972 when my former husband and I moved to Brooklyn so he could clerk for Judge Orrin Judd. Fast forward 15 years and in 1987 I returned to the Eastern District courthouse to clerk for Judge Thomas Platt. Since my clerkship, I have been involved with the court as a director of the Eastern District Civil Litigation Fund and as counsel in a number of cases pending in the district. I have a great fondness for the court and the judges who sit on it. After the presentation of colors by the U.S. Marine Corps and a singing of the Star Spangled Banner by Rosalie Sullivan, Chief Judge Carol Bagley Amon provided some court history. 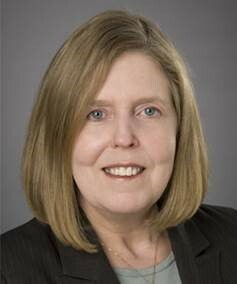 She said that the first judge was Judge Charles L. Benedict, who served alone from March 9, 1865 until January 1, 1897. There was only one judgeship until 1910 and no courthouse until the judges moved into the post office in 1912. In 1919, President Theodore Roosevelt visited to participate in swearing in new citizens. Judge Amon listed the judges who had died since the 125th anniversary celebration. Judge Amon also noted that Judge Henry Bramwell, who assumed the bench in 1974, was the first African American judge on the court and that Judge Reena Raggi, now a circuit court judge, became the first woman on the court in 1987. Judge Amon thanked Judge Roslynn Mauskopf for organizing the celebration. Supreme Court Justice Ruth Bader Ginsburg spoke next. Justice Ginsburg noted that after the Eastern District was established, it had no home of its own and if it needed help it could call on the Southern District. Now, it is one of the largest district courts in the country with 14 active judges and 15 senior judges. When he was chief judge, Judge Jack B. Weinstein was under pressure to split the court, but the Central Islip courthouse was built instead. Justice Ginsburg, who had been Judge Weinstein’s student at Columbia Law School, said that only seven judges in the country had served longer than Judge Weinstein, who has served for 48 years and is still actively serving. When Justice Ginsburg clerked in the Southern District from 1951 to 1953, there were no women on the bench; now the majority of Eastern District active judges are women. Justice Ginsburg said that the Pro Bono Panel and the Eastern District Civil Litigation Fund provide access to justice. 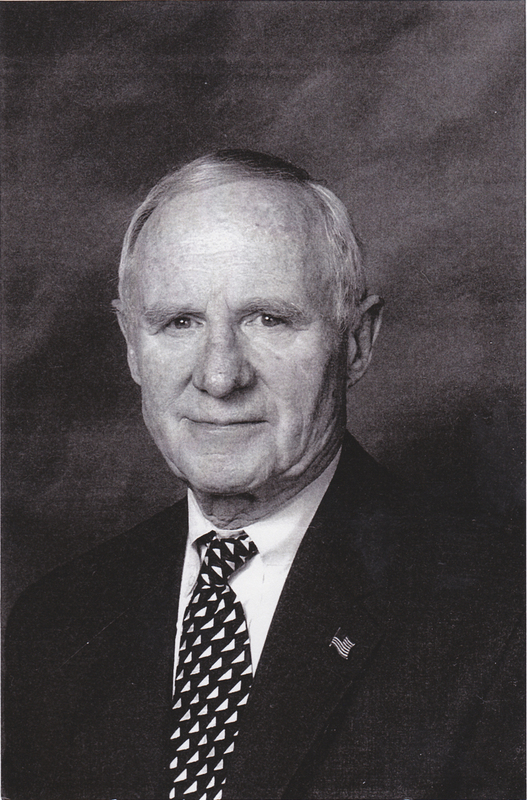 Alan Vinegrad, former Eastern District U.S. Attorney, spoke as president of the Eastern District Association. He noted that five judges of the Eastern District had served in World War II. Also, Justice Ginsburg was born in Brooklyn, and Justice Sotomayor had lived in Brooklyn. Vinegrad talked about the breadth of Eastern District cases and explained that the first Eastern District cases had been admiralty cases. Judge Weinstein talked about the Eastern District in the past and present. He explained that the court was established in the midst of the Civil War to deal with admiralty problems arising from the blockade of the South, which was enforced by ships built in the Brooklyn Navy Yard. The Spanish-American War was the beginning of this country’s intervention abroad. During World Wars I and II the district was a major arsenal and on September 11 many Brooklyn firefighters were killed trying to save people from the fires. September 11 was the start of the court’s call to deal with the dangerous new terrorism. The court serves the world and the community by admitting thousands as new citizens each year, helping people with special needs through the Willowbrook case, and protecting the world against law breakers and overreaching government. Judge Weinstein also recognized the members of the bar who help the court, including the Civil Litigation Committee and the Civil Litigation Fund – one helps to create local rules and the other with social help programs for needy litigants. He also recognized volunteer mediators and special masters. Judge Weinstein pointed to powerful protective laws enacted during his lifetime, enforced by the court, that are designed to protect against discrimination, support workers’ rights and equality of voting powers, and provide a strong social welfare net. Judge Weinstein finished with an affectionate nod to his colleagues, whom he said work with a continuing desire to provide the rule of law to all the people in the district. He lauded the respect the judges of the district have for one another and the people who work with the court in programs that have become benchmarks throughout the country such as pretrial services and probation and treatment programs. Judge Weinstein has an obvious and enduring love for the court. The Federal Bar Council held its annual Winter Bench and Bar Conference at the Casa de Campo Resort in the Dominican Republic from February 14 through February 21, 2015. John P. Coffey chaired the meeting and Second Circuit Judge Richard C. Wesley headed the Planning Committee. Council President Vilia Hayes presented the Whitney North Seymour Award for excellence in public service by a private practitioner to Samuel Seymour, Whitney North Seymour’s grandson. Sam thanked Vilia for the introduction and then talked about his grandfather (called “Whit”). Sam talked about Whit’s upbringing in the Midwest in modest circumstances. Whit’s father had started out as a lawyer in New York but dropped out to become a painter, novelist, and itinerant history lecturer. Whit worked his way through the University of Wisconsin and then attended Columbia Law School. He then became a pillar of the New York bar and a preeminent New York figure. Whit Seymour was Sam Seymour’s role model. 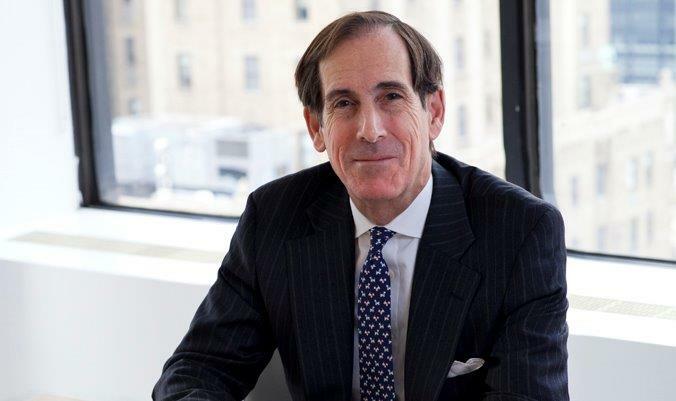 Sam considered Whit the preeminent New York litigator and bar leader of the day, who contributed to public service and the public interest while he practiced law at Simpson Thacher & Bartlett. Whit served as president of the American Bar Association, the New York City Bar (as did Sam), and the American College of Trial Lawyers. He also was active in numerous other organizations. Most important to Sam, however, were Whit’s integrity, courtesy, kindness, respect for others, and professionalism. Whit practiced law as a zealous and tough advocate who never attacked his opponent directly, using charm and humor to win everyone over. Sam knew Whit growing up as a generous and playful grandfather who loved his time with his seven grandchildren. One of Sam’s fondest memories of him came from the day Sam was admitted to practice in the Southern District of New York. He asked Whit to move his admission. When they arrived at Foley Square they found that Judge Charles Brieant was presiding over admissions. Judge Brieant invited Whit to speak to the newly admitted lawyers. Whit welcomed the new lawyers and talked about Judge Learned Hand’s 50 years on the district court. The celebration of Judge Hand’s 50 years on the bench included a public event at the courthouse followed by a small dinner at the Century Club. Chief Justice Earl Warren and Associate Justices Felix Frankfurter and John Marshall Harlan II attended, along with the Attorney General. Charles C. Burlingham, a leading lawyer in New York who was just about to turn 101, attended the dinner and lamented that he had not met anyone new. Sadly, Whit’s appearance before Judge Brieant was his last court appearance, as he died two months later. Sam believes that Whit would thrive in today’s changed profession because he stood for integrity, service to clients, absolute candor to the court, public service, and the strength and collegiality of the organized bar. He believes Whit would applaud the work of the Federal Bar Council. 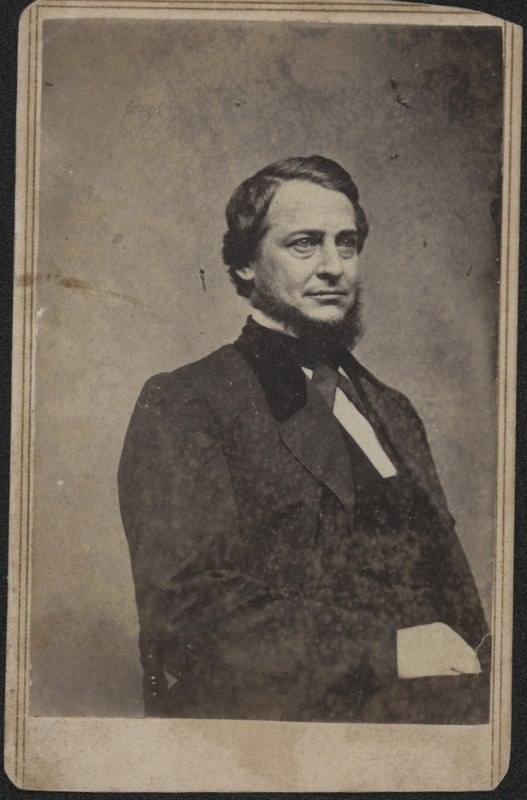 Clement Vallandigham is a figure lost to history. Even to many American historians, he rates – at most – a footnote. But Vallandigham was an important political figure during the Civil War era (albeit not in a positive vein), and his trials during that time period provide us with important (and interesting) lessons. After Lincoln’s election, Vallandigham made various attempts to find ways to prevent what he had prophesied. For example, he traveled to Richmond to urge Virginians not to follow South Carolina out of the Union. Later, in February 1861, he gave a speech in the House of Representatives entitled “The Great American Revolution”; in it he blamed the “belligerent” Republican Party for the sectional crisis and proposed three Constitutional amendments as a means to avoid civil war: a 13th amendment that would divide the country into four sections – North, South, West, and Pacific (a majority of the electorate from each section would be required to elect the President); a 14th amendment that would address the issue of secession (no state could secede unless all of the states in its geographical section approved); and a 15th amendment that would guarantee equal rights to all citizens in the territories (thereby authorizing popular sovereignty and enabling slave owners to bring their “property” anywhere they chose to do so). Those proposals garnered Vallandigham a lot of publicity, most of it highly negative (the proposals were “pure and simple treason”; he was “the biggest fool in America”; perhaps he believed “the hair of the dog would cure his bite”; etc.). With his (and others’) proposals for compromise proving unworkable as the polarized debate became even more hardened, Lincoln was inaugurated as President on March 4, 1861. After the firing upon Fort Sumter, Douglas pledged his support to his long term rival, Lincoln, and urged Northern Democrats to follow his lead: “There are but two parties, the party of patriots and the party of traitors. We belong to the first.” Shortly thereafter, Douglas was felled by typhoid and he died on June 3, 1861. Vallandigham did not wait for his political patron to die, however, before parting ways. Vallandigham, however, thought he was right and refused to budge. And when the second session of the 37th Congress convened in December 1861, he put his foot down on the pedal. Initially, he tried to make political hay by criticizing Lincoln’s defusing of a foreign policy crisis with England (done to discourage England from recognizing the Confederacy as a legitimate nation state under international law). Then, he proposed legislation to arrest and imprison Lincoln if the President were to continue to arbitrarily arrest people considered to be hurting the war effort. Warning that “[w]e are in the throes of revolution,” Vallandigham also fought various efforts aimed at the emancipation of slaves and the abolition of slavery. 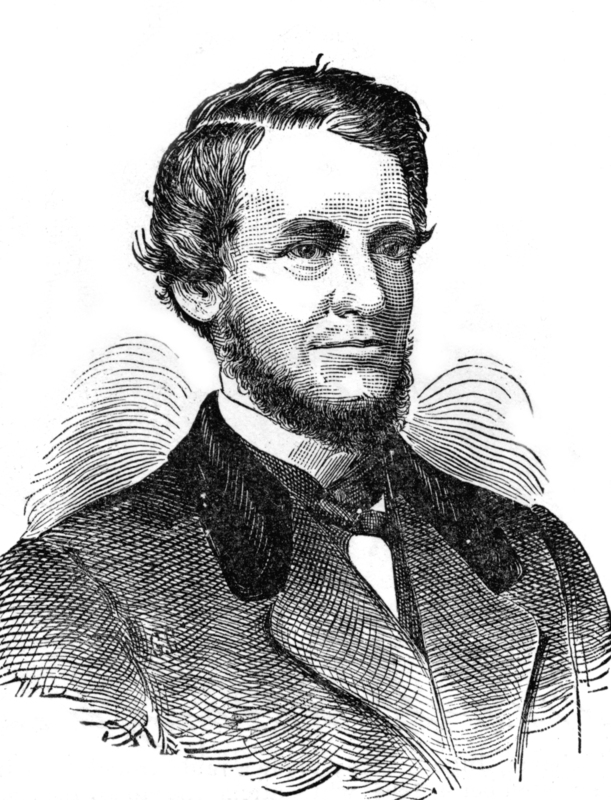 Although viciously attacked by many in Congress (around this time the term “Copperhead” came into the political lexicon; it was used against Vallandigham and his fellow peace Democrats; it is not only a snake in the grass, but a poisonous one to boot), Dayton’s congressman lined up 35 fellow Democratic representatives behind his pro-peace, anti-administration screed and he wrote to ex-President Franklin Pierce that he believed his efforts would pay off at the polls in 1862. Unfortunately for Vallandigham two things made his own prospects for re-election in that year not optimal. First, the Ohio legislature (dominated by Republicans) re-drew his district, adding a large swatch of Republican votes (and he had won in 1860 by only 134 votes). Second, his Republican opponent was Robert Schenck, a Union general wounded at Second Bull Run whom Lincoln himself had personally recruited to run against the hated Copperhead. The incumbent fought as best he could, whipping up a virulent, race-baiting vision: “The Constitution as it is, the Union as it was, and the N[***] where they are.” But it was not enough. In an election year where the Democratic Party made strong gains across the North, Vallandigham went down to defeat by more than 600 votes. … that pimp of Jeff. Davis and standing disgrace to his State, Clem Vallandigham, is laid out cold and stark in the embrace of political death…. He is dead, dead, dead – and a loyal people will bury him so deep in the mire of his own infamy, that the stench from his putrid carcass will never offend the nostrils of good men, nor the recollection of his treason and perfidy tarnish the fair name of the State he has long misrepresented and dishonored. But Vallandigham, believing it was only gerrymandering that defeated him, was unbowed. In fact, he was emboldened by the Democrats’ general electoral successes, and undertook something of a victory lap of speaking engagements before Northern, war-weary audiences. This experience would soon lead him to a constitutional confrontation that ultimately the U.S. Supreme Court would have to pass on. Asked how he pleaded to these charges, Vallandigham tried to filibuster; the presiding officer cut him off and entered a “Not Guilty” plea. 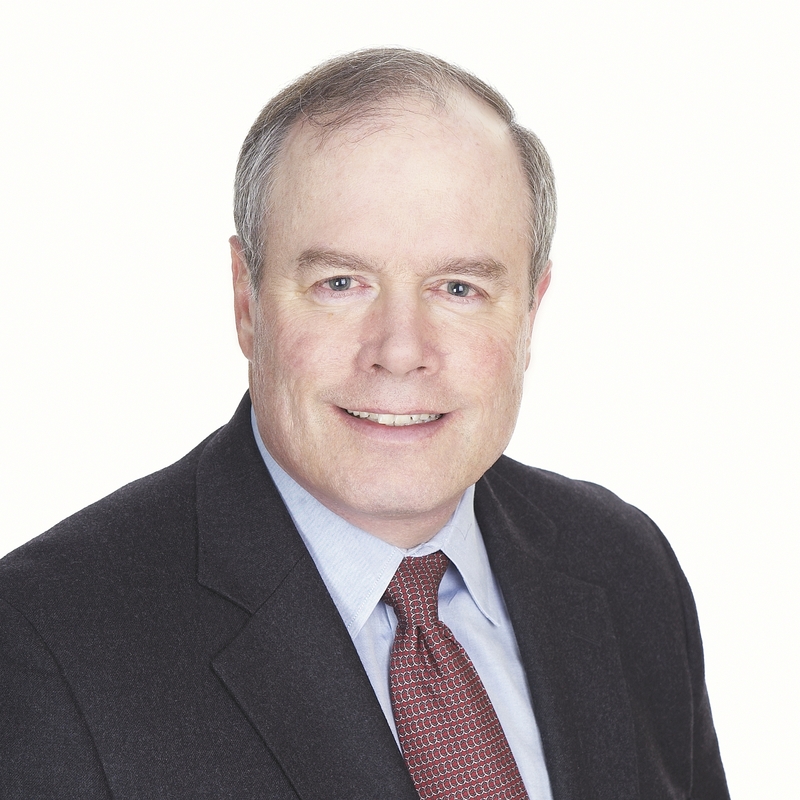 On May 11, former Ohio Senator George Pugh moved for a writ of habeas corpus on Vallandigham’s behalf in the U.S. District Court for the Southern District of Ohio. Judge Humphrey Leavitt denied the motion; basically ignoring Chief Justice Taney’s decision in Ex Parte Merryman, 17 F. Cas. 144 (C.C.D. Md. 1861) (sitting as a federal circuit judge, Taney held that only Congress could suspend habeas corpus), Leavitt ruled that the arrest and trial were validly conducted pursuant to the President’s authority as commander-in-chief. Although Burnside swiftly chose a suitable prison (Fort Warren) for Vallandigham, the political heat this brou-ha-ha generated caused Lincoln to intervene. The President, who considered the Copperhead leader to be a “wily agitator” (but, who also, in the words of his Secretary of the Navy, “regret[ted] what ha[d] been done” by Burnside), came up with an inspired thought: he ordered Vallandigham out of the Union and (with safe passage) deported him into the hands of the Confederate army. Not surprisingly, the Southern states did not want Vallandigham (he publicly declared himself “a prisoner of war”); and after he bounced back and forth between a number of Dixie states, the Copperhead was allowed to board a ship that evaded the Union blockade and made its way to Bermuda. From there, Vallandigham was able to get to Canada. While on his odyssey, Vallandigham’s machinations seem to pay off. On June 11, the delegates to the Ohio Democratic State Convention voted 411 to 11 to nominate the former congressman to run for governor. Once he reached Canada, Vallandigham formally accepted his party’s nomination. He campaigned in abstentia, with prominent Ohio Democrats trekking instead to visit the candidate in Canada. I stopped in to see and congratulate the President, who is in good spirits and greatly relieved from the depression of yesterday. He told me he had more anxiety in regards to the election results of yesterday than he had in 1860 when he was chosen. He could not, he said, have believed four years ago, that one genuine American would, or could be induced to vote for such a man as Vallandigham, yet he has been made the candidate of a large party – their representative man, and has received a vote that is a discredit to the country. The President showed a great deal of emotion as he dwelt on this subject, and his regrets were sincere. In the meantime, Vallandigham’s legal challenge to his prosecution continued, with ex-senator Pugh applying for a writ of certiorari to the U.S. Supreme Court. On January 22, 1864, the Court heard argument on the application (although Chief Justice Taney was too ill to attend). Less than a month later, on February 15, 1864, a unanimous Court (per Justice James Wayne) rejected the arguments put forward by Vallandigham’s counsel (Ex Parte Vallandigham, 68 U.S. (1 Wal.) 243 (1864)). The Court determined that it did not have the power to “originate a writ of certiorari to review … the proceedings of a military commission.” Because it ruled on jurisdictional grounds, the Court took no position on whether Vallandigham’s arrest, trial, and sentence were illegal. No mention was made of Chief Justice Taney’s prior Merryman decision; in fact, Taney was listed as being in favor of the outcome (although he confided to friends that he was despondent over the future of the Court and the Constitution). Public opinion on the Court’s ruling was predictably mixed: the Republicans were pleased, the Copperheads were not. This exposed schism between the two wings of the Democratic Party, together with an improving economy and a surge in Union victories on the battlefield (e.g., Atlanta), took away any chance of McClellan prevailing. In November, Lincoln won re-election easily. With the North victorious six months later, one would think that Vallandigham would have finally packed it in and retreated from public life with dispatch. But he did not. He publicly (and repeatedly) advocated an easy peace with the South, with no vindictive acts to be taken against individuals; he also argued against the emancipated peoples receiving full political and social rights. In addition, Vallandigham, with visions of political rehabilitation, plotted to become one of Ohio’s U.S. Senators; but those efforts did not work out as he had hoped. He was drafted in 1868 to run against Robert Schenck again for his old congressional seat. “Waving the bloody shirt,” the Republicans made the contest a choice between patriotism and treason. Patriotism won, although Vallandigham did run ahead of the national ticket. He still had politics in his veins and had not given up hope of someday getting to the Senate, but Vallandigham had to earn a living. In December 1869, he started a law firm with Daniel Haynes, a prominent local jurist. In short order, the firm prospered. In 1871, Vallandigham took over the defense of a man charged with murder. He was attempting to prove that the victim had in fact accidentally shot himself, and during a break in the trial Vallandigham showed his colleagues how he would demonstrate this before the jury. Unfortunately, he chose to pick up a loaded pistol. Pressing it close to his body and pulling the trigger, Vallandigham cried out: “My God, I’ve shot myself!” Twelve hours later, he died; he was 50 years old. 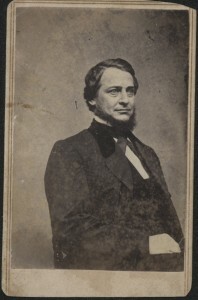 The definitive biography of Vallandigham is by Frank L. Klement, The Limits of Dissent: Clement Vallandigham and the Civil War (Kentucky 1970). The best single volume biography of Lincoln is David H. Donald’s Lincoln (Simon & Schuster 1995); the best multi-volume biography of Lincoln is Michael Burlingame’s Abraham Lincoln: A Life (John Hopkins 2008). The seminal work on the Democratic Party during this period in American History is by Joel H. Silbey, A Respectable Minority: The Democratic Party in the Civil War Era, 1860-1868 (W.W. Norton 1977). Although the decision has set the trademark bar abuzz, it should not be news to practitioners in the Second Circuit, since the Second Circuit has long recognized that in certain circumstances a decision by the TTAB could have preclusive effect in later federal court litigation. The facts of the B&B Hardware case are relatively straightforward. The plaintiff, B&B Hardware, owned a federal registration for the mark SEALTIGHT for metal fasteners used in the aerospace industry. Meanwhile, the defendant, Hargis Industries, used the mark SEALTITE for metal fasteners in the construction industry and applied for federal registration of SEALTITE. B&B opposed registration of SEALTITE in the TTAB and, after trial, the TTAB concluded that SEALTITE was confusingly similar to SEALTIGHT and could not be registered. Hargis did not exercise its statutory right to appeal the TTAB’s decision to the U.S. Court of Appeals for the Federal Circuit or a federal district court. B&B also sued Hargis for infringement in federal district court, claiming that Hargis’ use of SEALTITE infringed B&B’s rights in SEALTIGHT. In light of the TTAB’s finding of a likelihood of confusion, B&B argued to the district court that the TTAB’s decision precluded Hargis from arguing there was no likelihood of confusion. The district court, however, refused to give preclusive effect to the TTAB’s determination and, ultimately, a jury sided with Hargis, finding no likelihood of confusion. B&B appealed to the Eighth Circuit, but it affirmed, holding that because the TTAB looks to different factors than do federal courts in making likelihood of confusion determinations, a federal court should never give preclusive effect to a TTAB decision on the likelihood of confusion issue. The Supreme Court granted certiorari and reversed. As such, trademark litigators in the Second Circuit have for years already considered the possible preclusive effect of TTAB decisions in counseling clients about the costs and benefits of instituting TTAB and federal court proceedings. The Supreme Court’s holding in B&B Hardware simply takes the rule already applied in the Second Circuit and makes it a nationwide rule. Freakonomics is a great book. It uses economic theory to explain some of the mysteries of modern life. I am not an economist, but I thought it would be interesting to undertake an amateur economic analysis of the legal business in an effort to understand how it works, including why some lawyers make more money than others, why law firms employ particular business models, and the role that clients play in law firm economics. The law is a strange business. There are many lawyers who can’t get jobs, and yet there are many clients who can’t get lawyers. You would think that if supply exceeds demand, all of these people could find each other. If supply exceeds demand, you would also think that prices and profits would be very low. In the economic model of perfect competition, prices are bid down to economic cost – economic cost roughly being actual costs plus a sufficient return to incentivize people to enter the business to begin with, as opposed to doing something else. Wheat farmers are often given as an example of this. There are so many wheat farmers in the United States, and the competition is so intense, that the price is bid down to economic cost. If a wheat farmer raises his price even a small amount above economic cost, there will be another wheat farmer who is prepared to sell at economic cost. The law business is very different. Even though the supply of lawyers exceeds the demand for their services in the overall market, there are some lawyers who charge astronomical prices and make astronomical profits. In the recently released American Lawyer 100, the average profits per partner in 2014 were $1.5 million, and ranged from $495,000 at the low end to $5.5 million at the top. What is more, the average profits per partner have risen about 400 percent in the last 30 years, a period in which the consumer price index rose about 130 percent. It seems clear that legal services are not a homogeneous product. Wheat is a homogeneous product – a bushel of wheat is a bushel of wheat. Lawyers, by contrast, differ markedly in terms of quality and skills. In addition, legal work differs significantly in terms of complexity and risk. At one end of the spectrum, the work is fairly routine and repetitive, and the risk of getting a bad result is relatively low. At the other end of the spectrum, the work is difficult and complex, and the cost of a bad result can be high. The legal market can be viewed as a continuum, with commodity work at one end of the spectrum and complex work at the other. Most firms have a mix of commodity and complex work, but firms at the low end of the profits per partner scale tend to do more commodity work, and firms at the high end tend to do more complex work. In addition, the service at the commodity end is a homogeneous service in the sense that there are a lot of people who can do it, and the service at the complex end is more heterogeneous and unique in the sense that there are relatively few people who can do it. In other words, in that segment of the market, demand exceeds supply. As is the case in most markets with homogeneous products, like wheat, the competition for commodity work is fierce and the prices and profits are low. In markets with heterogeneous products, like the market for fine art, prices and profits tend to be high, even though those markets can be competitive too. It seems likely that the firms at the top of the American Lawyer 100 in terms of profits per partner are making gobs of money because they are offering something unique. Clients understand that there are differences in lawyers from a qualitative standpoint. If they treat lawyers as fungible for purposes of complex work, they may get bad results. What this means is that clients are willing to pay for quality, or what they perceive to be quality. The reality is that it is very difficult for clients, even sophisticated clients, to judge quality. Unless a client goes through the process that a judge goes through in deciding an issue, which includes looking at the evidence and reading the cases, it is hard to tell whether one brief is better than another or whether one lawyer is more capable than another. In judging quality, it seems likely that clients give results in other matters considerable weight. Clients infer that a lawyer or law firm with good results in other matters must be doing high quality work. In a nutshell, they have a good reputation. What clients are really buying when they pay for legal services, therefore, is reputation. Reputation is hard to come by, and it takes time to create. Reputation is also important because clients prefer to make choices that they view as safe. If something goes wrong or the result is bad, the general counsel wants to be able to tell the board that he or she hired the best. These factors may explain why there is relatively little movement into and out of the top ranks of the American Lawyer 100 – in the last 10 years, only five of the names in the top 25 firms in terms of profits per partner have changed. Reputation can be what economists call a “barrier to entry” in the legal business. Many of the law firms in the American Lawyer 100 have been there a long time and will stay there unless they do something that harms their reputation or otherwise suffer a financial setback. There nevertheless has been some movement into and out of the American Lawyer 100. A number of firms have been very successful pursuing niche strategies and then expanding from there to build a strong base. Skadden and Wachtel focused on proxy fights in the 1970s and then took on hostile takeovers in the 1980s because the established firms thought that work was beneath them. They quickly grew into two of the most successful firms in the world – in 2014, Wachtel was first in profits per partner and Skadden was thirteenth. More recently, Quinn Emanuel focused on litigation and was willing to do plaintiffs’ work, and it is now second on the American Lawyer profits per partner list. Some firms have gone head-to-head against the established firms and have advanced based on reputation alone. David Boies was a well-known litigator when he started Boies Schiller, but he decided he could enhance his reputation further by agreeing to handle the Microsoft case for the government for a reported $140 an hour. 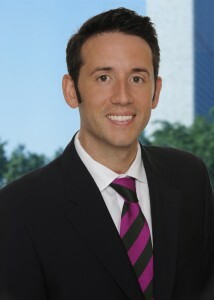 He won the case and now his firm is twelfth in the American Lawyer 100 in terms of profits per partner. Paul Weiss has been relentless in its pursuit of quality and reputation, hiring the best law school graduates and bringing in laterals like Ted Wells, Mark Pomerantz, and Beth Wilkinson. 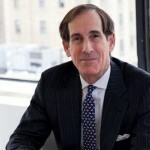 Paul Weiss is now third in the American Lawyer 100 in terms of profits per partner. Some notable firms have exited the market. Donovan Leisure was regarded as one of the best litigation firms in the country, but it could not survive a bad outcome that tarnished its reputation. Howrey collapsed when it expanded too quickly as the market contracted in the wake of the financial crisis of 2008. Dewey LeBeouf grew its practice by offering lateral partners guarantees, borrowing heavily to cover those guarantees and then imploding when it could not service the debt. There are 26 firms in the American Lawyer 100 with profits per partner of more than $2 million. It is interesting that 20 of those firms are either headquartered in New York or have their largest office in New York. It is also interesting that a significant number of those firms pursue business models where compensation is either lockstep or based on factors other than originations, while the business models of the firms farther down on the list tend to be based on originations. Why is that? For firms at the top of the list, the name of the game is to keep their clients by providing great service and maintaining their reputation for high quality legal work. The lockstep business model works for them because it encourages partners to stay with the firm since they will make more money the longer they stay. It also incentivizes them to share the work because a firm with a lockstep business model will make more money if everyone is busy. For firms farther down on the list, which obviously would like to move up on the list, the name of the game is to increase revenue by encouraging business generation. An originations business model encourages business generation. For those firms, the ability to generate business may be more important than sheer legal skill – although the two are not mutually exclusive and, indeed, they may be related – and lateral hiring is an important component of their strategy. This strategy is not without its shortcomings. Firms that grow through lateral hiring often find themselves in situations where they are paying the laterals too much money, so they must cut costs to maintain profitability. The best way to achieve that is to eliminate the most costly partners who generate the least business and replace them with less costly partners or associates. The originations business model can also discourage sharing. All other things being equal, partners in an originations environment will make more money if they keep matters for themselves and staff them with associates, as opposed to handing the matters over to other partners in order to keep them productive. As a result, some partners become expendable, and there is a lot of movement into and out of those firms. That is not to say that everything is rosy in the lockstep firms. Partners in those firms often become unhappy if they feel that their contributions, relative to their peers, are not recognized. They may demand adjustments or become the prime targets of originations-based firms that are looking for laterals, although very few actually leave. Lockstep firms may lose clients if partners, who are entitled to receive a certain level of compensation no matter what they do, become lazy or fail to do a good job. As a result, there may be a level of mistrust and concern about whether everyone is carrying their weight in a lockstep firm. The lockstep model is also hard on associates. The model works best if the associate to partner ratio is high, so it is important to minimize the number of associates who are invited to become partners. Furthermore, the firm does not want the associates to take the clients with them when they leave, so decisions on partnership are traditionally made before the associates are capable of doing that – generally after seven or eight years. Firms farther down on the American Lawyer profits per partner list typically have lower associate to partner ratios. In the past, those firms tried to compete for associates by convincing law school graduates that it would be easier for them to make partner even though their profits per partner were lower than the most profitable firms. More recently, with the emphasis on business generation, it has become harder to make partner, and originations-based firms are taking longer to make the partnership decision. As the profession has evolved, many firms have adopted a hybrid system, with elements of both business generation and factors other than business generation in their compensation formulas, including the idea of creating a “star system” of highly compensated partners to service the firm’s clients. Interestingly enough, a completely unscientific survey suggests that firms moving up in the world will sometimes incorporate factors other than business generation into their compensation systems, presumably to keep assets in place, while firms that feel they are slipping will embrace originations. In addition, many firms are employing lawyers as counsel, senior attorneys, or contract attorneys, suggesting that there is less concern that they will walk off with the firm’s clients, which in turn makes it easier to maintain the firm’s business while making fewer partners. As a result, lawyers are consumed with uncertainty even though profitability in the American Lawyer 100 appears to be relatively stable compared, for example, to the profitability of the Fortune 100. That is pretty extraordinary when one considers the capital costs of law firms compared to major companies, further demonstrating that reputation can be a barrier to entry. The willingness of firms to keep lawyers on for more than 10 years without making them partner suggests that those firms see little risk that those lawyers will jump ship and form their own firms, taking the clients with them. Recent trends with clients have added to the mix. Clients are up in arms over legal costs and are coming down hard on lawyers in an effort to lower their costs. They are attempting to create competitive bidding wars by sending out RFPs; they are establishing “panels” of law firms that are willing to work at lower rates; and they are demanding alternative fee arrangements such as fixed fees and blended rates. One wonders whether this will have any real impact in the long run. As noted above, clients are willing to pay higher prices for higher quality work. The ability of some firms to deliver high quality work (recognizing that quality may actually be the perception of quality as inferred from reputation) gives them what economists call market power – i.e. the ability to charge a price above economic cost. Even though those firms have market power, competition in their market segment – what some economists call monopolistic competition – may be intense. If economic theory is correct, that competition should result in a market price, and changing the unit of measurement should not cause a significant change in the overall wealth transfer from clients to lawyers for legal services. Whether you charge by the bushel or the pound, unless there are economies of scale or savings in transaction costs, the cost of wheat should be the same. The same should also hold true for a heterogeneous product like legal services, assuming market forces are operating and firms are not engaging in price fixing. Alternative fee arrangements may yield transitory savings as firms opportunistically take advantage of the new regime. For example, firms with low utilization rates will try to keep their lawyers busy by offering special deals; firms may be willing to offer special pricing for commodity work, while continuing to do complex work for standard rates. But firms will continue to take advantage of whatever market power they have to obtain total payments from clients that are commensurate with the quality of work they perform. Legal costs will continue to go up because the amount of legal regulation is increasing and the work is becoming more complex. This is why profits per partner in the American Lawyer 100 continue to rise notwithstanding alternative fee arrangements, which have been in existence for some time. There is also some risk for clients in the alternative fee approach. After an initial period of adjustment, smart firms will use their market power to calibrate alternative fee arrangements in a way that protects them from the downside. Clients may end up paying more for work done on a fixed fee basis than they would if they paid hourly rates. Law firms may assign more junior lawyers to matters where there are blended rates in order to minimize opportunity costs. Alternative fee arrangements also make the market more heterogeneous. Comparison shopping is more difficult when products are priced in different ways. It may be very difficult to determine whether a fixed fee is more economical than an hourly rate when the controlling factors are the duration and complexity of the case, which are often difficult to predict. When you think of it, the hourly rate is an elegant way of measuring the value of legal services because clients pay for exactly the amount of time and experience level that they get. In the days of Abraham Lincoln, most matters were handled on a fixed fee basis. At the outset of a case, the lawyer got a retainer, which he kept even if he got a quick result. The hourly rate was considered to be an improvement that protected the client by requiring it to pay only for the time actually spent and protected the lawyer by ensuring that the lawyer was appropriately compensated even if the matter took more time than originally anticipated. With alternative fee arrangements, there is a risk of overpayment or underpayment. Rational law firms will use their market power to avoid underpayment if they can. Hourly rates make some clients uncomfortable because they are concerned about padding and overbilling. A busy lawyer has no incentive to do that. If anything, a busy lawyer has every incentive to do the work as efficiently as possible and then move on to the next matter because that will increase the lawyer’s base of clients and enhance the lawyer’s reputation for doing good work. A lawyer who is less busy may have some incentive to take more time than is necessary on a matter, but alternative fee arrangements are a somewhat blunt instrument for dealing with the problem. A far better solution is simply to change lawyers, which clients do all the time. I predict that, after a period of experimentation with alternative fee arrangements, clients will return to hourly rates. (In the meantime, I am perfectly happy to explore alternative fee arrangements and readily admit that I may be wrong about them.) If I am right, the emphasis will shift back to hourly rates and savings from discounts on standard hourly rates. Law firms may react by increasing the discounts while also increasing the standard hourly rates, turning the standard hourly rate into a list price. But at the end of the day, the market price will be the market price, regardless of the unit of measurement. If legislatures pass more laws, regulators adopt more regulations and courts recognize more legal rights, clients’ legal costs will increase. As more lawyers enter the profession, they will look for new and inventive ways to earn a living, increasing clients’ costs. One is reminded of the Abraham Lincoln story of the town with one lawyer who could barely earn a living, but things changed when a second lawyer moved into town and they both became very wealthy. That was great for the lawyers, but probably not so great for the clients. Consumers are never happy about escalating costs, so I’m sure that clients will continue to be frustrated about their ever-increasing legal spend. The pressure from clients, the emphasis on business generation, and lateral hiring and firing have created an atmosphere of fear, uncertainty, and doubt throughout the legal community. Many lawyers that I know are absolutely miserable even though they are making more money than they ever dreamed they would. They complain that the practice of law has turned into a crass business that is no longer as professional or collegial as it once was. This is a complaint that I first heard more than 40 years ago when I started practicing law. Maybe things were different in the days of Abraham Lincoln. I don’t know. The important thing to remember is that people in the legal profession haven’t really changed over the years – suddenly becoming nasty, brutish, and short (or at least short tempered). They are simply rational economic actors who are responding to market forces. They always have been. It is market forces that have changed, and they are likely to continue to change in the future. It helps to understand the economic conditions that create this environment, even if it does not make it any more pleasant. My subject is a pressing one, the unmet legal needs of immigrants … too often immigrants are deprived of adequate legal representation, essential if they and their families are to live openly and with security. This failure should be a concern for all of us committed to the fair and efficient administration of justice. My views are shaped by experience as a judge on the U.S. Court of Appeals for the Second Circuit.… I write, I should emphasize in an individual capacity, not as an official representative of my Court. In our legal system … [t]he lawyer’s function is grounded in role morality, the notion that special obligations attach to certain roles- in the lawyer’s case, to serve justice. Judges Katzmann and Rakoff felt responsibility for the deficiencies in achieving justice in the U.S. of different classes of individuals. They spoke out without waiting for an appropriate case to come before them. As lawyers, we have been trained as advocates for our clients, yet our training also permits us to recognize that justice is often missing in the lives of whole classes of people even in our democratic system. Thus, perhaps, do we have some special, or at least moral, obligation to live, in part, a life dedicated to justice and to eliminating its obvious flaws? The very notion of an individual’s expectation of privacy may seem quaint in a world in which technology makes it possible for individuals and businesses (to say nothing of the government) to observe acts of individuals once regarded as protected from public view. On the other hand, rules that permit the government to obtain records and other information that consumers have shared with businesses without a warrant seem much more threatening as the extent of such information grows. [T]he bulk collection of data as to essentially the entire population of the United States, something inconceivable before the advent of high-speed computers, permits the development of a government database with a potential for invasions of privacy unimaginable in the past. Because we conclude that the challenged program was not authorized by the statute on which the government bases its claim of legal authority, we need not and do not reach these weighty constitutional issues. The seriousness of the constitutional concerns, however, has some bearing on what we hold today, and on the consequences of that holding. Although the court deferred to prospective congressional action to remedy the constitutional issues, it did address those issues in detail. Should the Congress not “do the right thing” in extending or replacing the law, the court still will have jurisdiction of appeals from the district court to which it remanded the action. It appears that the court is prepared to do justice on the constitutional issues if the legislative process does not allay its concerns. The court was, perhaps, bold in the cause of justice in going beyond what was required to determine the action. We all agree that the seceded States, so called, are out of their proper relation with the Union; and that the sole object of the government, civil and military, in regard to those States is to again get them into that proper practical relation. The amount of constituency, so to speak, on which the new Louisiana government rests; would be more satisfactory to all, if it contained fifty, thirty or even twenty thousand, instead of only about twelve thousand, as it does. It is unsatisfactory to some that the elective franchise is not given to the colored man. I would myself prefer that it were now conferred on the very intelligent, and on those who serve our cause as soldiers. In the audience John Wilkes Booth observed to a fellow conspirator “that means n[***] citizenship … that is the last speech he will ever make.” Three days later Lincoln was dead by Booth’s hand. Speaking out is, of course, not the only way to “make a difference.” In our area of the country, we have the example of powerful lawyers who did not merely write a check, serve on a board, or do some pro bono, but who stepped forward proactively to attempt insure that all of us practice law in as fair and just system as possible. As an associate, Orison Marden organized other associates in large firms all over the city to annually collect funds for the Legal Aid Society. The late Schulte Roth & Zabel partner, Brooks Burdette, was determined to be the best board member ever for the Lawyers’ Committee for Civil Rights under Law. Justice entrepreneur Michael Posner founded the NGO now known as Human Rights First and has participated in at least dozens of human rights missions abroad. Judge Denny Chin and his wife, Cadwalader partner Kathy Chin, spend their vacations developing scripts for which they arrange public presentations depicting the effects of the prejudices in American society against Asian immigrant populations. In 1992, Barry Scheck and Peter Neufeld founded the Innocence Project committed to exonerating innocent people through the use of DNA testing. Its efforts have resulted in the freeing of over 300 innocent people with new Innocence Project chapters addressing other justice issues as well. As lawyers, we are “citizen soldiers” for justice (as my friend Chip Grey once remarked) and by our advocacy training we are able to give leadership to correcting injustice. There may not be a duty for lawyers to work towards resolution of the great issues of the day, as Judge Morris Lasker suggested in accepting the Council’s Learned Hand Award in 1989, but we will be a more just nation as more of us do. Everyone goes to law school for a reason. Some seek wealth and prestige. Others look to law as a way to serve their civic duty. And there are still others, like Pauli Murray, who are driven to the law to battle injustices experienced first-hand. Growing up in Durham, North Carolina, during the 1910s and 20s, Murray attended segregated schools and understood what race discrimination was from a young age. She also understood that she needed to do something about it. After earning a bachelor’s degree at Hunter College, Murray briefly worked as a teacher in New York. Although she felt pressure to return to her family, Murray resisted leaving Manhattan because of her “increasing inability to endure the system of segregation,” especially when it came to public transportation. “The bus,” she explained, “was the quintessence of the segregation evil, because … [t]he intimacy of the bus interior permitted the public humiliation of black people to be carried out in the presence of privileged white spectators, who witnessed our shame in silence and indifference.” However, Murray’s sense of obligation to challenge the system she so despised prompted her to apply to the graduate program at the University of North Carolina at Chapel Hill – a school considered to be “liberal” – to study sociology and race relations. She was rejected – “members of your race are not admitted to the University,” the letter stated. Furious, Murray wrote letters to the university administrators, President Franklin D. Roosevelt and Mrs. Roosevelt, and the NAACP. Her correspondence to the NAACP was referred to then-assistant special counsel, Thurgood Marshall, who took an active interest in Murray’s plight. Murray had also attracted the attention of Eleanor Roosevelt, who responded to Murray’s passionate letter; the two became lifelong friends. The university was unyielding. Murray’s rejection from the University of North Carolina only fueled her desire to change racially discriminatory policies. After being arrested and jailed in 1940 for refusing to sit in the back of a segregated bus, Murray became involved in the Workers’ Defense League (which paid a fine to obtain her release from prison). One of Murray’s first assignments was to raise funds for the defense of Odell Waller, an African-American who had been arrested after he shot and killed his white landlord, Oscar Davis. Murray learned that Davis had taken Waller’s share of the wheat crop they had jointly planted, and the shooting occurred when Waller approached Davis – who was known to carry a gun – to ask for his portion of the wheat crop (which was one bag of wheat for every three going to Davis). According to Waller, Davis refused to give him any wheat, and “r[an] his hand in his pocket like he was going to pull out something,” which prompted Waller to reach for his pistol and shoot Davis, believing Davis was about to shoot him. Waller’s attorney moved to dismiss the indictment on the ground that the grand jury had been selected from a list composed exclusively of poll tax payers, in violation of Waller’s constitutional right to stand trial before a jury of his peers. The motion was denied. Waller was tried by an all-white jury of 10 farmers, one businessman, and one carpenter. Within two weeks, Waller was indicted, tried, convicted of first-degree intentional murder, and sentenced to death. 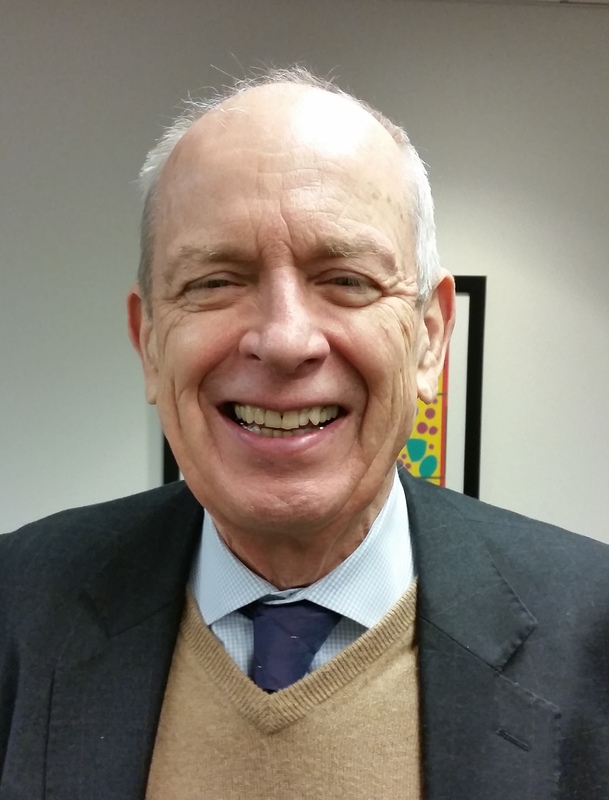 Murray worked to raise awareness of Waller’s case and money to appeal his conviction, with the goal of having Waller’s sentence reduced to life imprisonment. Murray visited Waller as he sat on death row, and after speaking with him, Murray felt certain that Waller formed no intent to kill Davis; he had a split-second reaction to a threatening movement by an angry man who was known to carry a weapon. Believing Waller was guilty of manslaughter, not firstdegree murder, Murray tirelessly campaigned on Waller’s behalf—traveling through countless states—and secured more than $3,000 in donations. At one of Murray’s speeches, Dr. Leon Ransom, of Howard Law School, and Thurgood Marshall, of the NAACP, were among those in the audience. Dr. Ransom, a recruiter for Howard, was so impressed that he encouraged Murray to apply to law school. Once Murray began to practice, she found that there were few job opportunities for an African-American woman in the 1940s in the field of law. 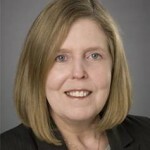 After clerking – a position described by Murray as the lowliest in the profession – in two small law firms, Murray decided to open her own firm. Perhaps the most gratifying work she encountered in her solo practice was a research project for the Women’s Division of the Methodist Church, which asked Murray to write a report on race laws in the United States. The final product became Murray’s first published book, State’s Laws on Race and Color. 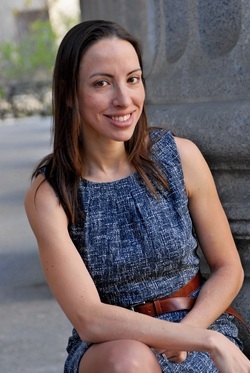 In the 1950s, Murray joined Paul, Weiss, Rifkind, Wharton & Garrison, but, after two women left the firm, she became the “solitary female on the legal staff in the New York office.” A sense of alienation weighed heavily on Murray, for she “was neither ‘my girl’ – a condescending reference to a female secretary – nor fully accepted as ‘one of the boys.’” As she worked with different associates and partners, Murray made a name for herself and earned the respect of her coworkers. 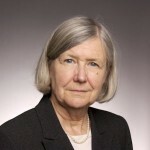 In time, Murray felt accepted amongst the attorneys at the firm, and when she left Paul Weiss, she was grateful for “having been tested by the most exacting standards of the legal profession.” Murray went on to teach law at the Ghana Law School, in Accra, Africa, and later Brandeis University. Author’s Note: Works consulted for this article include Pauli Murray: The Autobiography of a Black Activist, Feminist, Lawyer, Priest, and Poet (previously published under the title Song in a Weary Throat) and The New York Times. Editor’s Note: This article originally was published in the March/April/May 2013 issue of the Federal Bar Council Quarterly.